There was a time when Internet Explorer used to be the only web browser choice for Windows users. Now, facing immense competition from Chrome, Firefox, and Opera, only a handful of Windows users might be using Internet Explorer. Since version 6, the browser has failed to deliver any unique features (both in terms of speed and user interface) that would give users a reason to not use any other browser available on the web. 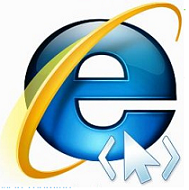 Versions 7 and 8 of Internet Explorer were just additions to list of failures. But Microsoft plans to make amends by ensuring they release a competitive new version – Internet Explorer 9. Its previews are available for developers although no beta versions have been released yet. Hopefully Microsoft will keep improving Internet Explorer 9 to bring it at a competing level. Click here to get Internet Explorer 9 Preview 2.